Chemical synthesis needs to evolve and adapt to the challenges of the future, and free itself from the restraints of laborious and time-consuming processes. New technologies must strive to provide safe, effective and productivity enhancing solutions. Our new automated capsule based synthesiser addresses all these issues and more! 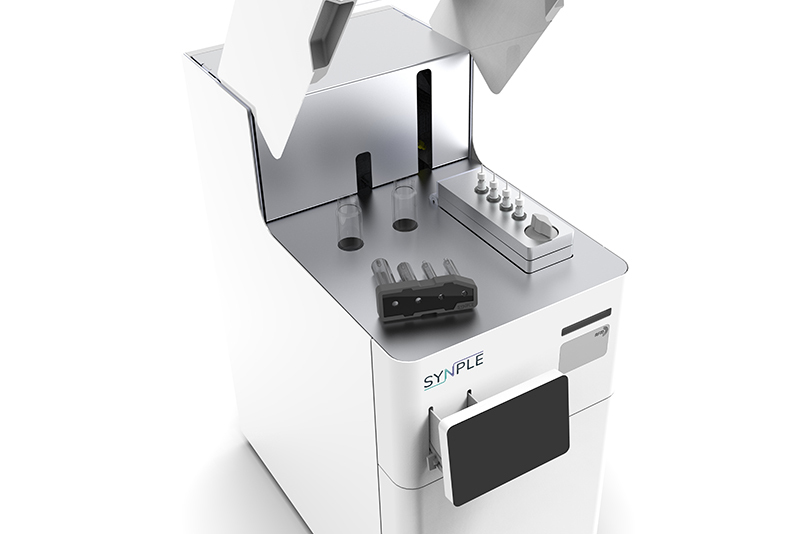 The small and compact capsule-based synthesizer for the generation of research products, works in an analogous manner to a capsule coffee maker. 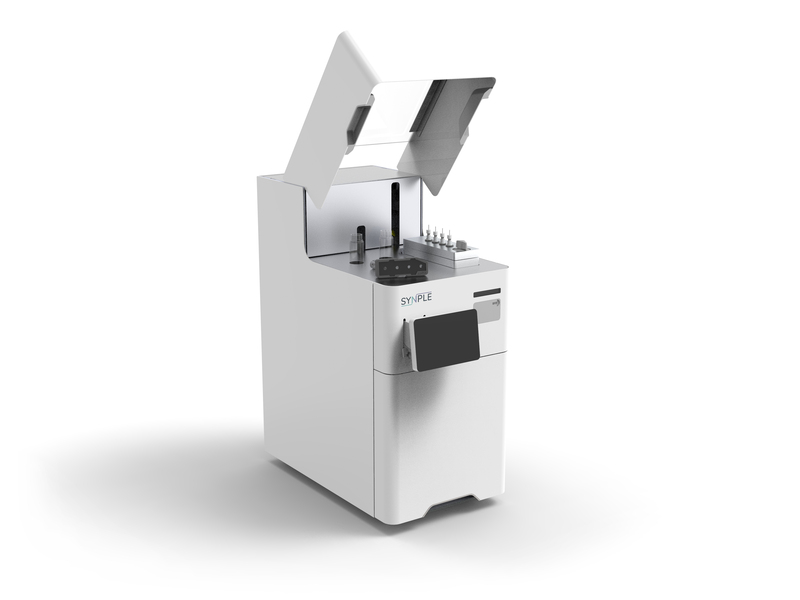 Simply add the starting material to be transformed and a commercially available, single-use, disposable reagent capsule and with a single touch of a button, the product is generated, isolated and purified! Following the generation of the desired product, an automated washing sequence allows the machine to be used directly by another user without risk of contamination. With all the chemicals and solvents required for the transformation, as well as the waste generated, the risk of user exposure is drastically reduced. Thus this technology offers not only time-saving, productivity, and efficiency benefits, but it offers a far safer process than the respective traditional synthetic procedure. 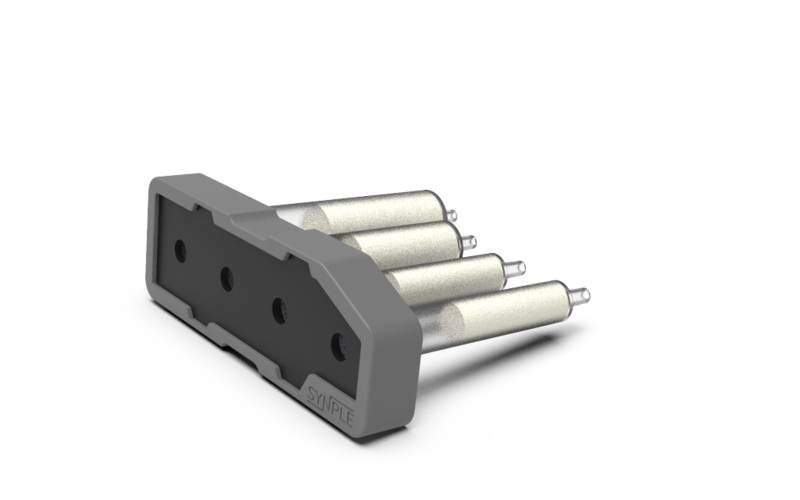 The 3 in 1 solution offers an unprecedented combination of hardware, software and an optimized chemical process. Use of the automated synthesizer, in conjunction with the specialised capsules, offers the opportunity to break free of the limitations imposed by traditional synthesis, and the benefits of a safe, time-efficient, cost effective, plug and play synthetic procedure. Our first, currently available reaction class facilitates the generation of N-Heterocycles. These include morpholines, piperazines, oxazepanes, diazepanes and more complex spiro and bicyclic structures. A broad scope of structurally and electronically different aldehydes can be readily transformed to the N-heterocycle in a very easy manner following just a 10 min reaction setup. The cartridge contains all reagents and catalysts for the imine formation, cyclisation and purification. The second reaction class currently enables a reductive amination process. A larger number of complex amines can be generated easily from aldehydes or ketones and primary or secondary amines. 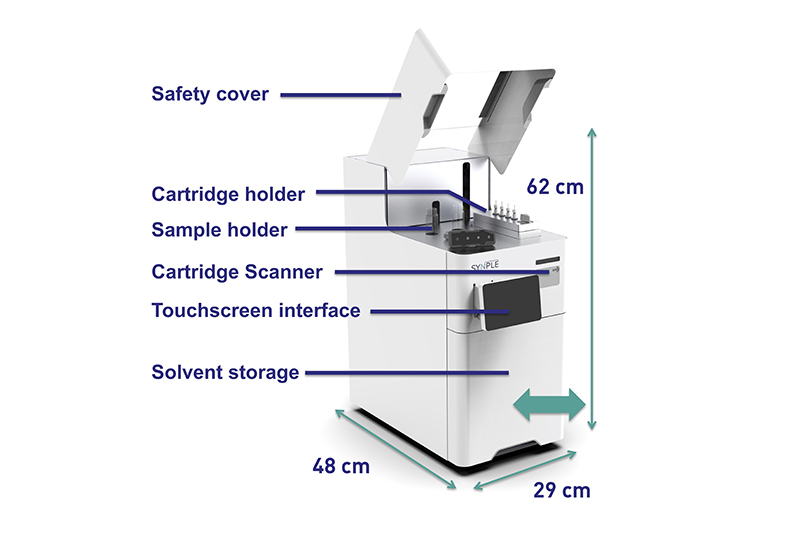 The cartridge contains all reagent for the condensation, reduction and purification steps of the process. Generic methods, selected based on reaction partners, minimize need for reaction optimization. The third reaction class enables the formation of PROTACs. Both VHL and CRBN Ligands are available with different lenghts of PEG linkers. 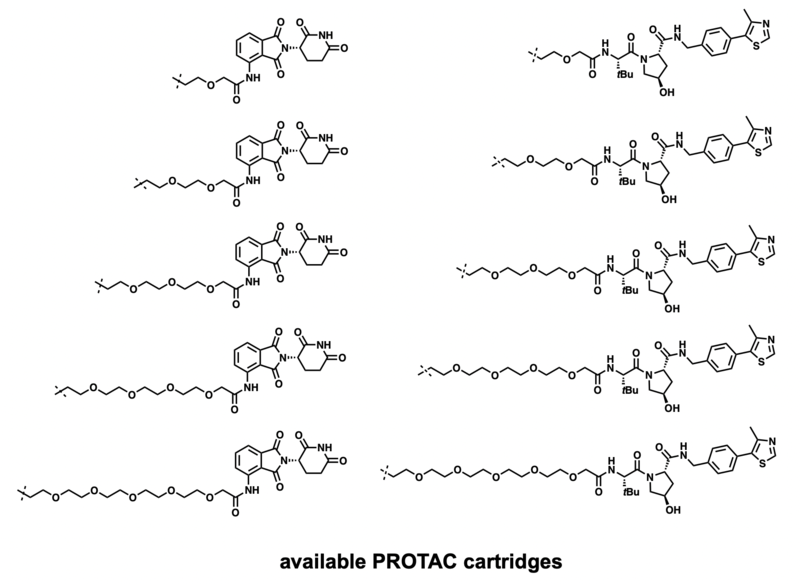 The cartridge contains all reagents for the linking the carbonyl group of a protein binder with the partial PROTAC and components for the purification steps of the process. Are you looking for another chemistry application? Contact us! Much less working time is required to generate new molecules. The synthesizer will only take 5-10 minutes to set up and will run completely autonomously. This offers the potential to increase the productivity of every synthetic chemist, whatever level of skill and experience. The plug&play device is intuitive to use and requires no special training. No detailed chemistry knowledge is necessary to create new molecules. 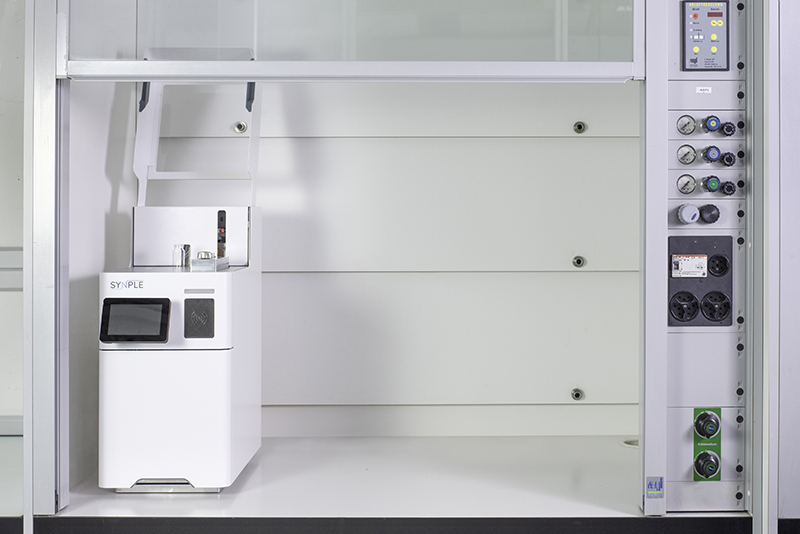 Compared to carrying out a reaction manually, the synthesizer can cut down on 70% of the costs to generate one molecule. The automatic reactor is fully enclosed, thus the user has no exposure to any chemicals used during the synthetic process. This complies with newest laboratory safety standards. With only 25 x 35 cm footprint, the synthesizer uses only a minimum amount of space and fits in every laboratory. The fully optimized reaction sequence uses only a minimum amount of reagents and solvents, therefore reducing overall waste.